Torchy Blane is a fictional female reporter starring in a series of films in the 1930s. A total of nine films were produced between 1937 and 1939. 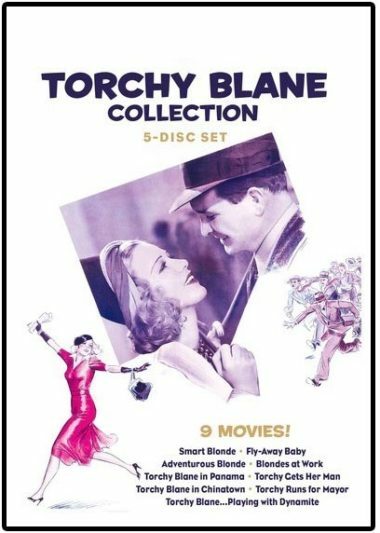 The Torchy Blane film series were popular second features during the later 1930s and were mixtures of mystery, action, adventure, and fun. During the pre-World War II period, newspaper reporter was one of the few roles in American cinema that positively portrayed women as intelligent, competent, self-reliant, and career-oriented — virtually equal to men. Of these role models, Torchy Blane, a smart, beautiful, wisecracking female reporter was perhaps the best-known. The typical plot of movies featuring the character have the resilient, fast-talking Torchy solving a crime (the central element of the film’s plot) before her less-than-perceptive lover, loud-mouthed police detective Steve McBride, can.